A lot of focus of the job creation debate is around the formal, industrial / corporate sector. It is typically believed that “formal jobs” ie. Full time employment in organized firms, is preferable to “informal jobs’ where the job is “project based” or temporary and only based on demand.. This is due in large parts to the fact that formal full time employment typically offers long term benefits and security and predictability. The generation of employees in middle to senior management across most of corporate India today, grew up in pre-liberalisation India of the 60’s, 70’s and 80’s – when a safe and secure job upto retirement – was typically the most important life goal. Two important and related characteristics exemplify our consumer life today. The first is the exponential growth of Choice in all spheres (c0mpare the “range” of phones MTNL offered us in the 80’s – to the array of Smartphones today, from the 3 models of cars then, to the 100’s of new models launched every year). Businesses have to fundamentally rethink employment and the “careers” they offer – to radically redesign the “employee experience”. Some jobs have always had an inherent degree of flexibility and ownership built into them. Think accountants, lawyers, architects, designers, doctors. Each of these provide the opportunity for independent work and practice, which is often more lucrative, than working full time in an organization. 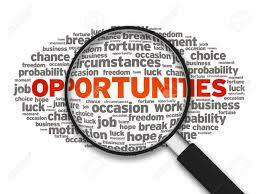 Why not create the same opportunity for Independent working or freelancing for other jobs ? – Engineers, Scientists, HR managers, Marketing managers, Sales managers and so on. This has been most famously coined into the term – the “gig economy” through the phenomenon of freelancing in technology intensive – and location agnostic jobs such as software programming. The new emerging India, needs organisations to rethink and redefine their Talent model – key roles which need full time employment & long term tenure – and others which need specialized skills for short durations. The job creation debate at a national level also needs to shift towards acknowledging the growing role of the “informal jobs” sector in India, and its necessity in addressing the issue of gainful occupation of our population.